If you are considering selling your home in a few years, then it is best to go for bathroom and kitchen renovations for improving the retail value of your house. However, as you already know, in Canada, bathroom renovations Toronto project ranges around $15,000 – 25,000. So, since it involves a huge sum of money, it is in your best interests to get the most of your money’s worth. However, for first timers the need to find reputed remodeling professionals, proper design and materials can become overwhelming. 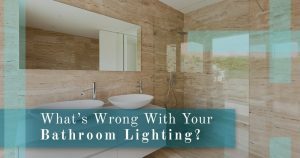 Many times, homeowners end up making trivial mistakes that can prove to be a problem when it comes to bathroom remodel. Thankfully, this blog is here to aid you in this matter. So, read through and avoid these 5 bathroom renovation mistakes to get maximum ROI. Plumbing is the most costly aspect of bathroom remodeling. So, suppose, to amplify and magnify your bathroom space, you decided to move the toilet, shower, bathtub and sink from their fixed locations. This will end up adding more than thousands of dollars to your bathroom renovations Toronto project. So, avoid moving out fixtures and instead only move the ones that are absolutely necessary. Furthermore, to magnify your bath space, work on color schemes, tiles, lighting, mirrors, etc. to make your bathroom look amplified and huge. Aesthetics undoubtedly play an important role when it comes to washroom renovations. However, focusing entirely on aesthetics can reduce functionality. Your bathroom might end up positing fixtures at awkward places, which will make accessing basic utility items difficult. So, while considering a bathroom renovations Toronto project, first opt for utility and then go for aesthetics. Often a common flaw of homeowners is shopping for the incorrect materials when it comes to bathroom renovations. Now, you might get carried away by your remodeling plans and end up buying attractive tiles, wallpapers, and wood. Yet, at times these might not be water or moisture resistant. Thus, you might face issues like the wood vanity unwrapping one fine morning or the paint peeling, etc. So, to avoid such scenarios, first, consult with your selected bathroom renovations Toronto and pick the correct materials to invest in. The lack of a proper budget is catastrophic for any bathroom renovation project. You might know the average cost but, for best results, you need a concrete budget. Thus, inspect your bathroom and lifestyle needs and segregate certain amounts of money for specific equipment & designs. Once you know what to invest in, you can monetize your expenses as per your priorities. This will prevent you from spending extra on bathroom projects and stop your pockets from bleeding out. Well, there you go, with these 4 mistakes to avoid; you can ensure that your bathroom renovations Toronto project does not turn into a disaster. Just ensure that you pick a reputed contractor who can assist you and promise you success when it comes to your washroom remodel project.